March 1, 2013 – Yesterday, the House voted to pass a strong, inclusive, and bipartisan VAWA by a vote of 286-138! The bill is now heading to the President’s desk for signature. This is our collective victory on behalf of survivors. You have been a voice for victims, and your hard work secured safety for all survivors! 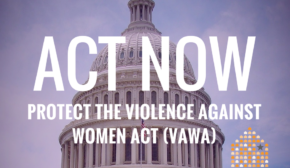 Please make one last call – to thank those Representatives that stood with victims and voted in favor of the bipartisan VAWA or express your disappointment in those who did not. 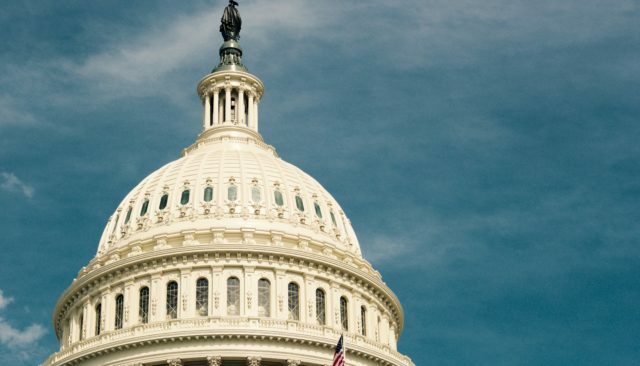 Call the Capitol switchboard at 888.269.5702 and ask the operator to connect you to your Representative. If you don’t know who your Representative is, you can find out here. I am a constituent from (city and state) and my name is _________. If your Representative voted YES on VAWA: I wanted to say thank you to Representative _____ for voting in favor of VAWA. This bill will make a significant difference in the lives of victims in our community, and we are grateful for the Representative’s support. If your Representative voted NO on VAWA: I am calling to express my deep disappointment that Representative _____ voted against VAWA. Victims in our community desperately need the support and resources that this bill provide, and ask for the Representative’s support and leadership on this issue. Don’t know how your Representative voted? Check out the final vote results. The legislation that passed yesterday is a strong reauthorization that includes landmark protections for women on Tribal lands, improves protections for immigrant victims, ensures services for LGBT survivors, and adds important housing protections for victims. The bill also preserves and maintains core funding for life-saving victim services. Read NNEDV’s full statement on the passage of VAWA. Thank you for standing with us and for all of your hard work!